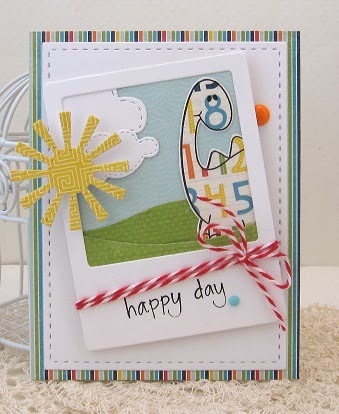 I hope your day is happy! I'm up on the blog today for Jane's Doodles showcasing this fun dinosaur image - Spotless Dino which can be found here. So excited that my stitched dies arrived this weekend from Lil' Inkers! They worked perfectly for this card! Lot's of patterned paper used from Echo Park/Scoot, all stitched dies from Lil' Inkers, photo frame and hill dies from PTI, misc. baker's twine and enamel dots from MME.